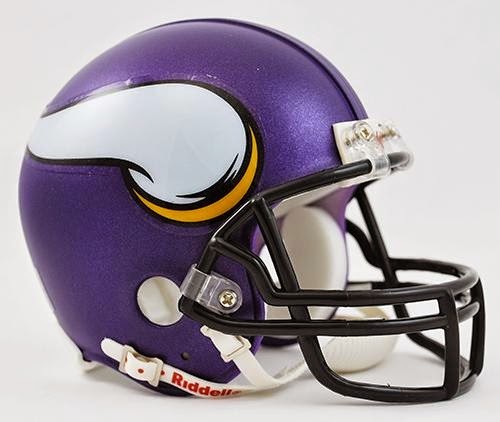 2013 was a pretty awful season for the Minnesota Vikings, especially on the road. The Vikings finished the season 5-10-1 and went 0-7-1 on the road. Despite bringing in Greg Jennings to give the team a playmaker, the passing game was a disaster. This was largely due to the fact that the Vikings used three different starting quarterbacks during the season, which included Josh Freeman. To hopefully fix this problem, the team used the 32nd overall pick in the NFL draft to bring in Teddy Bridgewater. However, Matt Cassel has won the starting job, but Bridgewater will be breathing down his neck all season. The Vikings should have a chance to put together a pretty decent offense in 2014. Adrian Peterson is the most feared RB in the game, and Cordarrelle Patterson is a nightmare for opposing defenses to figure out. Cassel started 9 games for Minnesota last season and played fairly well. He threw for 1,800 yards on 60% completion percentage, with 11 touchdowns and 9 interceptions. Unfortunately for him, the entire Vikings fan base wants to see the rookie Teddy Bridgewater play and he knows he is just a few bad starts away from holding a clipboard on the sidelines. We did not rank Cassel or Bridgewater in our QB rankings. There is no other RB in the league that opposing defenses focus more on shutting down than Adrian Peterson. Over his first 7 seasons, Peterson has scored at least 10 touchdowns every year. He also has rushed for 1,000 ever year except for 2011 where he fell 30 yards short but missed 4 games. If he can stay healthy, Peterson is a lock for 1,300 yards and 10-15 touchdowns. We ranked him 3rd in our RB rankings. What doesn't this guy do? He caught 45 passes and scored 4 touchdowns, he rushed for 158 yards and scored 3 touchdowns, and he returned 2 kickoffs. Oh yea, and he didn't really get involved with the offense until midway through the season. Now he's a huge part of the offense and the Vikings will have many plays designed for Patterson, which will give opposing defenses a lot of homework leading up to the game. I can't make a prediction on what kind of numbers he will put up, because you never know where he will be lined up. Just know that he'll be a human highlight reel this season. We ranked him 21st in our WR rankings. Despite the awful QB play last season and Peterson being the primary option, Jennings still managed to catch 68 balls for 804 yards and 4 touchdowns. Sadly, he's not that explosive WR that he was when he was with the Packers, nor does he have Aaron Rodgers throwing him the football, but Jennings still has potential for another 1,000 yard season and an occasional 50+ yard touchdown. We ranked him 44th in our WR rankings. Rudolph made a splash in fantasy football back in 2013 when he scored 9 touchdowns. Last season he was limited to just 8 games. He's your typical tight end, who will catch 4-5 passes a week for 40-50 yards and always has a chance to catch a redzone touchdown because of his size (6'6, 260). We ranked him 6th inour TE rankings.